Meet our first Legacy Horse of the year: Backer, a 16.3h, 2014 gelding by Street Boss out of Calla Lily by Pulpit. What are Legacy Horses? Legacy Horses are those rare jewels that have it all: excellent conformation, sound mind, lovely movement, and athletic talent. They are hard to find and because of that, they command a higher adoption fee than our regular horses. These are the horses that leave a legacy for the ones in our program that need more care and have less scope, like Old Doc, for example, who was pulled from a Louisiana kill pen in January and has needed more time to transition physically and mentally. Backer has all of the traits of a Legacy Horse and then some. 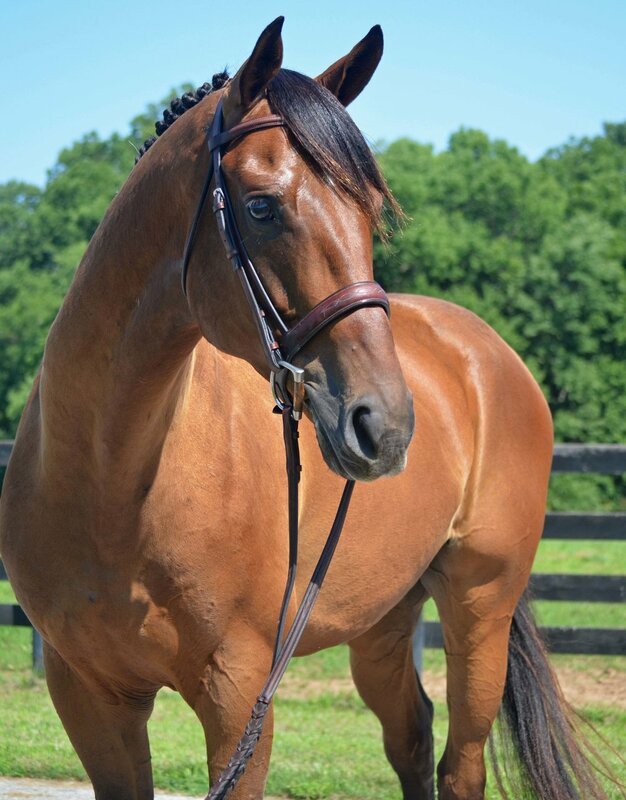 He comes with a really solid and beautiful foundation of skills as he has already had nine months of training to prepare him for last year's Thoroughbred Makeover. But the Makeover was a lot to ask of a strapping, big-boned 3-year-old, so he was turned out through the winter and spring to rest and grow. Now that he is back in training, we are delighted to say that he has forgotten none of his earlier lessons! Backer is balanced and soft in the bridle, and he has a kind temperament and a great work ethic. If you want a horse that is a joy to ride PLUS the joy of knowing that you have helped several less fortunate Thoroughbreds transition to a new life, then Backer is the horse for you!